Each one of us can actually live a life beyond mediocrity. Happy Minds, an organization, built up for those who aspires for a mega living. 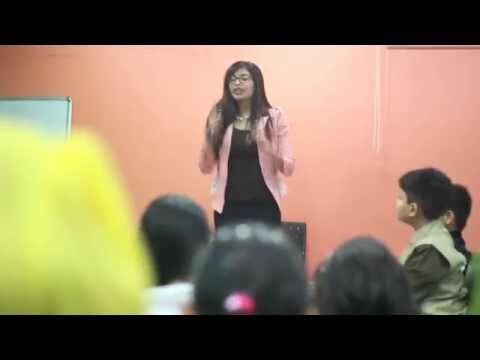 The trainer and director, Mrs. Shweta Merchant Gandhi, an NLP practitioner has got the excellent expertise of empowering people in every way; taking them from ‘Existence to Excellence’ that makes it a power-puff package to wake the subsisting souls that are dormant. The theme revolves around the overall upgradation of a person, in terms of mind, mouths and soul. It has life elevating skills in the manner of Attitude shift, Confidence building, Emotional intelligence, Stress management, Mind mapping, Leading a 7-Star Life and such other uplifting programs. It has also mind empowering schemes such as Neuro Linguistic Programming, Pregnancy Mind Power, Self Talks, License to Live, etc. Impact of positive thinking: sound becomes music, movement becomes dance, smile becomes laughter, mind becomes meditation and life becomes celebration. Soft skills are important attributes that are crucial for career success and are cracked by training in Office etiquette, Business communication, Presentation skills, Time and change Management, Sales and retail training, Interview skills and a couple of such other attributes. Another aspect of this beautiful academy is the ‘iLearn to iLead’ certified course, that focuses on creating a confident ‘You’, to travel from ordinary to legendary. This certified course offers Art of Communication, Unique ‘I’ Development, Mind power, Leadership and Smart mouths. Every fourth session during the course is celebrated as an activity day to add festivity to the aura. The unique course design, world class knowledge, global level and practical ways of learning, activity days and out-of-class learning make Happy Minds a totally unique academy. Happy Minds consider humanity as a moral responsibility and thereby do every bit to ‘Give Back’ the underprivileged the opportunities and upgradation they deserve, by its social initiative ‘Jazba’ teaming up with the well known NGO, Pathshala. Children ranging from blind school, orphanages, to municipal schools and intellectually challenged kids as well as old age homes have been delivered a bunch of happiness through these special programs like Psychology sessions, iGrow sessions, Games and activity sessions, Management and Bhagwad Geeta sessions. All these sessions focus on pushing their lives from Wild to Wow. A wonderful academy with a notable media coverage, Happy Minds continues to embrace the hearts of all those it encounters. HappyMinds – What We Are!